The flexographic printing process requires precise connections between the various aspects of the press, starting with plate cylinders that serve as the foundation for image reproduction. 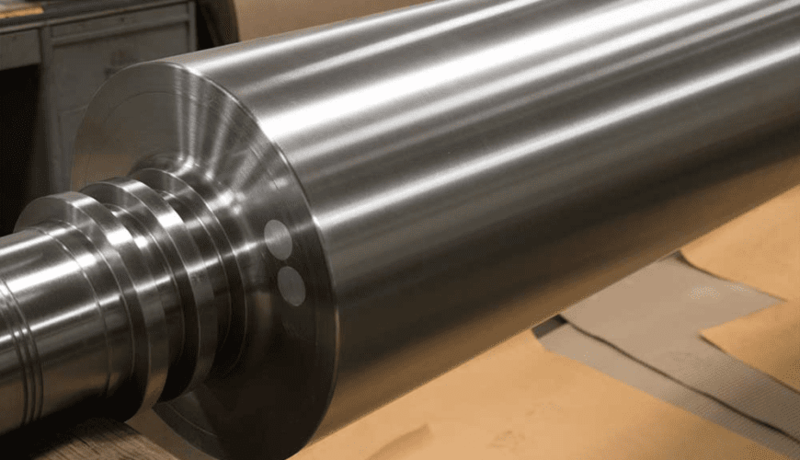 MECA Solutions produces high-quality plate cylinders in its role as a premier manufacturer of custom bridge sleeves, rolls and precision parts for printing and other web converting industries. Plate cylinders are crucial to the flexographic printing process as the base component for consistent web performance. Plates attached to the plate cylinders transfer inked images directly to the substrate. MECA Solutions offers different configurations of flexo plate cylinders, each of which can be swapped out for cylinders of varying diameters depending on the application. The attached plate is inked by an anilox roller and transfers images directly to a substrate passing between the plate cylinder and the impression cylinder. Integral plate cylinder –Every part of the cylinder, including shafts, body and end caps, are contained in a single unit. Demountable plate cylinder –Manufactured without pre-attached shafts, this type of plate cylinder can be mounted onto an existing shaft. Sleeve –The plate is mounted to a removable cylinder sleeve and slid onto the main plate cylinder. Air pressure expands the sleeves to allow for easy mounting and removal. MECA Solutions manufactures impression cylinders, anilox rollers and plate cylinders to ensure uniform speeds and high-quality print outputs.